P.I.L. 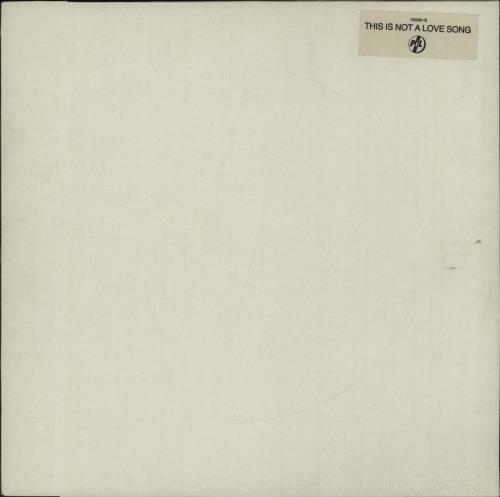 This Is Not A Love Song (1983 UK limited edition 4-track 12" EP which also includes a Remixed Version along with Blue Water & Public Image, title stickered plain white embossed sleeve. The front of the sleeve has just a couple of minorstorage marks & the vinyl still looks barely played VS529-12).